Can you read this story written by an end-of-year kindergartner? When I see a beginning writer’s story with invented spelling like this, I know it’s time to cheer. This child is well on the way to reading success. Research in a number of studies from Canadian cognitive psychologists Gene Ouellette and Monique Sénéchal has convincingly championed the positive outcomes of invented spelling showcasing the writing/reading connection. They undergird their research with two long-standing independent lines of research: 1) research in tracking developmental phases of word reading (Ehri, 2000) and 2) research in developmental phases of spelling (Gentry, 2000). In a carefully crafted longitudinal study Ouellette and Sénéchal (2017) followed over 170 kindergarten writers from kindergarten to the end of first grade and found invented spelling to be “a unique predictor of growth in early reading skills.” Far from being nonacademic, harmful to traditional values, or a deterrent to conventional spelling they found use of invented spelling to be a boon to learning to read, phonemic awareness, and learning the alphabetic principle. This study and others including neuro-imaging studies are helping map the beginning pathway to successful reading with a powerful observational tool called phase observation. It’s based on my many years of research on phases of developmental spelling which perfectly align with Linnea Ehri’s remarkable contribution in a separate line of research based on phases of word reading. The Gentry phases and Ehri phases are essentially one and the same—or two sides of the same coin representing observable outcomes of the developing architecture of the reading brain’s word form area. Remarkably, neuro-scientific imaging demonstrates the development of this critical part of the proficient reader’s brain from non-existence in Phase 0 non-readers and writers to its presence in the brains of proficient end-of-first grade readers and writers (Gentry & Ouellette, in press). Today, exemplary kindergarten teachers across the nation and cutting edge staff development resources such as the New York City Department of Education Framework for Early Literacy: Grades Pre-Kindergarten—2 (NYCDOE, 2018) tout phase observation and use of the Gentry developmental spelling phases and Ehri word reading phases as important for promoting early literacy development. Here’s a Close Look Writing Assessment (adapted from Feldgus, Cardonick, & Gentry, 2017) of the “Earth Quakes” story. If we analyze each invented spelling we get a measure of what phase the kindergartener is in from this small sample. Mark each invented spelling as Phase 3 if it has a letter for each sound. Rth (earth) Phase 3 r for the r-controlled vowel; he knows the digraph th. There is a lot to celebrate here! What immediately jumps out is that this writer is advanced for kindergarten and making progress for becoming a proficient reader. He is likely moving from Phase 3 into Phase 4 as both a writer and a reader. While celebrating his meaning making and other strengths, this sample helps us target instruction for CVC short vowels, the long vowel CVCe pattern, digraphs qu and ng, and eventually r-controlled syllables and the idea that every syllable needs a vowel. We can celebrate when science confirms discovery of best classroom practices for beginning reading teachers. Over three decades ago Marie Clay, the revered world-renowned, late, theorist and founder of Reading Recovery called for educators and scientists to capitalize on the early writing/reading connection. “It is probable,” she wrote, “that early writing serves to organize the visual analysis for print, and to strengthen important memoric strategies. The child’s written work also provides us with objective evidence of what the child has learned.” (Clay, 1982, p. 210) Today, Clay’s hopeful prognosis has revealed itself in phase observation. Let’s use invented spelling to set beginning readers on a pathway to conventional spelling and better end-of-first-grade reading scores. Science has spoken! Clay, M. M. (1982). Observing young readers. London: Heinemann Educational Books. Ehri, L. C. (2000). Learning to read and learning to spell: Two sides of a coin.” Topics in Language Disorder, 20, 19-36. Feldgus, E., Cardonick, I. & Gentry, R. (2017). Kid writing in the 21st century. Los Angeles, CA: Hameray Publishing Group. Gentry, J. R. (2000). A retrospective on invented spelling and a look forward, The Reading Teacher, 54(3), 318-332. Gentry, J. R. & Ouellette, G. (in press). Brain words: How the science of reading informs teaching. Portsmouth, NH: Stenhouse Publishers. New York City Department of Education. (2018). Pre-K—2 Framework for early literacy. New York City: NYCDOE Publication. Teaching children to read, write, spell, communicate and think critically is challenging work, but it is doesn’t have to be serious work. Teaching and childhood are messy, unpredictable, complex, and inherently steeped in curiosity, wonder and joy. As literacy teachers, we can get caught up in planning responsive lessons, delivering rich instruction and meeting benchmarks. Sometimes, we get so caught up that we temporarily lose sight of the children that are right in front of us. Last year, while teaching a group of first graders a word study lesson on the silent e rule, I watched as a child carefully placed the letters T-A-P-E on the magnetic board in front of her. Next, she picked up her magnetic E and twirled it through the air. She leaned in close to the rest of the word and then pretended that the E was whispering to the magnetic A. A big part of me wanted to say, “Just go ahead and make the word, please.” But instead I, too, leaned in close and asked, “What’s that E saying to the A?” She looked up at me and said very slowly, “Time to be lonnnng.” We both cracked up. In just the first few minutes of the lesson she had invented a playful narrative that helped her remember the spelling pattern and cultivate tiny moments of joy and spark in her learning. Stuart Brown, author of Play: How it Shapes the Brain, Opens the Imagination, and Invigorates the Soul writes, “Play seems to be one of the most advanced methods nature has invented to allow a complex brain to invent itself.” Brown has found that there are very distinct ways people like to play. He calls them play personalities. Identifying your students’ play personalities (or having them identify their own) is as simple as identifying the things that bring them the most pleasure, when they seem to lose time, and they can feel their creative juices flowing. Knowing your students’ play personalities can help you empathize with their very powerful human drive to play. They need play to feel happy, safe, and challenged– to feel like they belong. Joker: The Joker loves to make people laugh. Their play “always revolves around some kind of nonsense.” (66) Find opportunities to give the jokers in your class time to make you all laugh. You could offer “open mic” moments in morning meeting, ask for silly sound effects during a read aloud, and provide unstructured times when jokers can entertain, laugh and be silly. Kinesthete: This player “find themselves happiest moving.” (66) This isn’t just athletes, either, this can be the person who thinks best when walking. Incorporate a love of movement into the day with dance, yoga, flexible seating options and plenty of space for big movement. You might offer your writers a quick walk to generate ideas or weave whole-body movements into read alouds or shared reading. Engage with your students over a shared sense of wonder. Incorporate opportunities for inquiry and exploring the community into their learning. 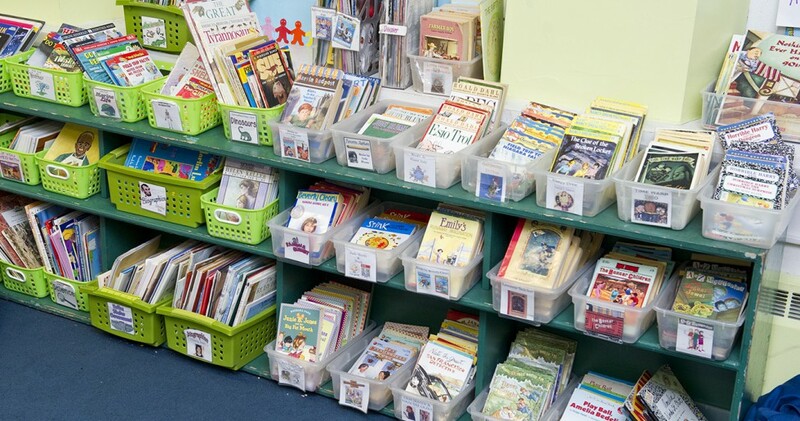 Offer as much student-driven choice in reading and writing workshop as possible. Teach strategies for reflection to celebrate moments of learning and discovery. Tap into the competitor’s love of challenge and drive to win by creating a game out of even the most unremarkable tasks, strategizing about what reading and writing moves would be most effective, and (always) encouraging good sportsmanship. You could also have them help organize a March Madness of favorite books or a class story slam. Director: “Directors enjoy planning and executing scenes and events.” (67) Use the director’s love of organizing and planning to help orchestrate special events, units, and experiences for your class. You might have your directors plan end-of-unit celebrations, class bulletin boards, student-led book clubs, or open house events for families. Collector: The collector enjoys the act of gathering, collating, organizing, and admiring objects and experiences. (68) Focus this passion for collecting on your classroom community. Have students document the year in photographs, curate a treasury of beloved stories, and keep portfolios of their work. You might have them use apps such as SeeSaw to digitally collect memories of the year or put them in charge of curating a shelf of the class’ favorite books or books that align to current units of study. Artist/Creator For the artist, “joy is found in making things.” (68) Carve out time to make things not just for but with your students. You might have your students co-construct bulletin boards and charts or experiment with different genres of writing and ways to express their ideas. You could even teach your students new art habits and practices (or have them teach the class!) just like you would writing lessons or reading strategies. The storyteller uses their imagination in all things, and also loves reading and watching movies. (69) Leverage the love of story to bring play and imagination into every area of the day. Invite storytellers to retell inspiring moments from the classroom or beloved stories and use their imaginations to inspire fellow writers. You might help them remember strategies and skills by incorporating little stories into your lessons. If you’re interested in more ways to incorporate play and child-centered teaching into your practice, check out my new book with Kristi Mraz, Kids First From Day One, and Kristi’s book, Purposeful Play, co-authored with Cheryl Tyler and Alison Porcelli. Here’s to a school year filled with joy, wonder & play!